Looking for a low cost high quality birdguard cowl? Well look no further! The Econoguard Stainless Steel has just come onto the chimney scene and is exactly what you need. 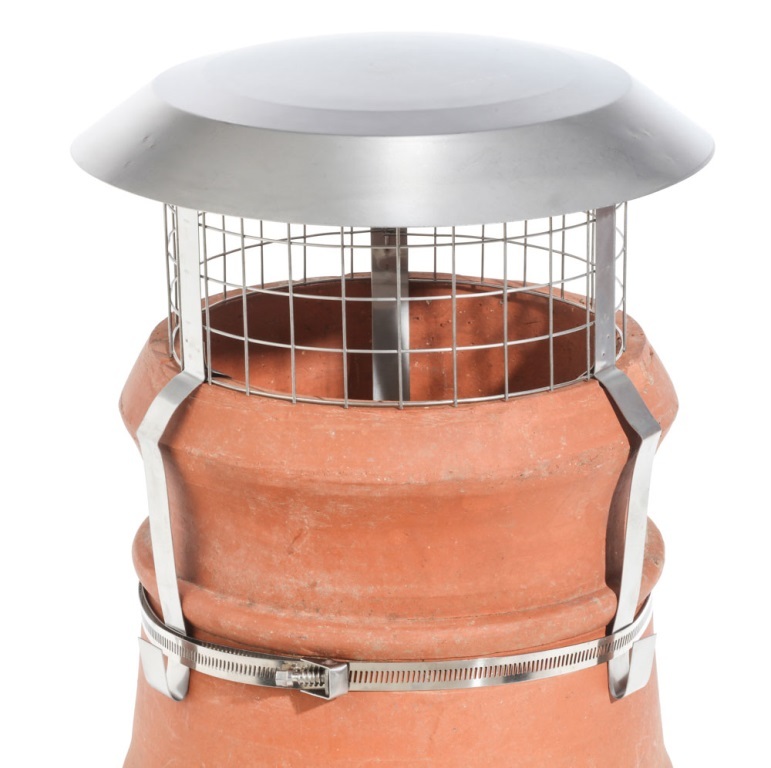 Improving upon the low-cost design of our original Econoguard, this stainless-steel variant ensures Colt Cowls quality whilst also guaranteeing an excellent price for all of our customers. The Econoguard Stainless Steel was created to answer demand for a stainless-steel version of our Econoguard birdguard. The Econoguard has seen a high level of sales since its introduction and so demand for a tougher version has been on the increase! 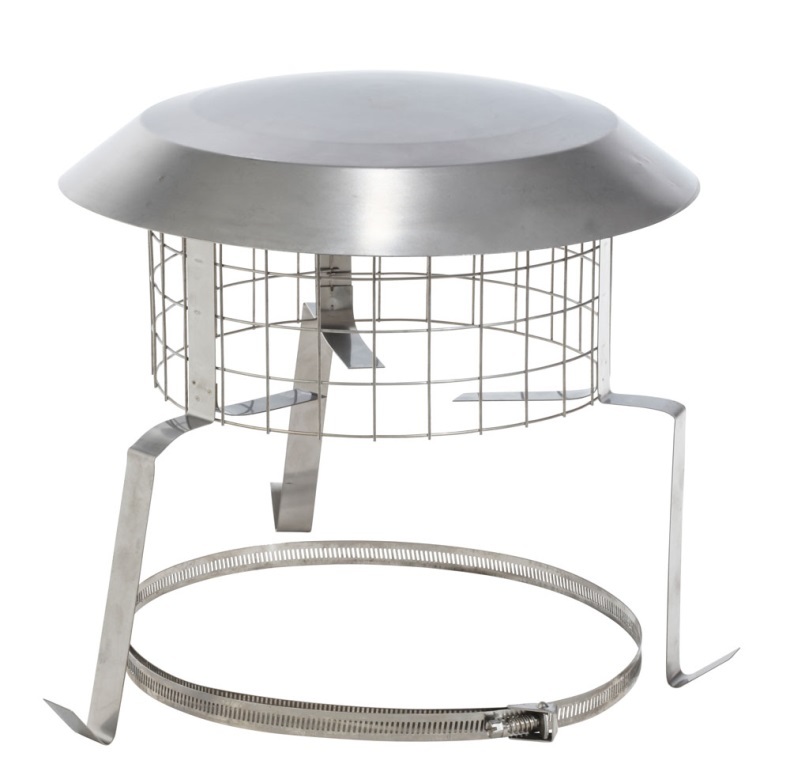 Much like our High Top Solid Fuel birdguard has a stainless-steel variant, it was agreed that an upgrade to what was already on offer was required. Stainless steel products are stronger and more corrosion resistant than their aluminium counterparts thanks to their overall density, meaning that if you want the best of the best, stainless steel is the way to go. A demonstration of how an Econoguard Stainless Steel is fitted to the top of a chimney pot. The Econoguard Birdguard Stainless Steel is suitable for wood, coal, oil and is strong enough to be ideal for use on smokeless fuels. It comes with all fixings in order to fit it securely and safely to your chimney pot. At £37.79 + VAT it is a fantastic price for the quality provided and can be with you by the next working day if ordered by 1:30pm! Either order online or give us a call at 01243 781559. You won’t regret it!